I don’t do anger well. Never have. When I get angry, I get quieter and quieter and draw inward. Yelling and loud noises upend me, looks of fury frighten me and perhaps as a result I don’t ‘fight fair’. I can’t engage at times like that. Words may be said that can never be retracted, always remembered with a flinch and perhaps causing emotional damage that can’t be repaired. So I withdraw – my tendency is to wait until the timing is better, deliberating my delivery perhaps for days. There are some people who can let it out and let it go, trusting that their words will be taken in context, perhaps offering an apology thereafter, perhaps not. I have a hard time with forgiveness in those situations. I am not a quick healer. I resent (or perhaps envy?) the confidence it must take to throw emotional caution to the fates and risk so much. This isn’t about temperament as much as it is about the importance of getting past such moments that leave us breathless and conflicted. There is a skill in letting something really go, losing the anger before it builds into some large, unwieldy fire-breathing dragon in your stomach, invading all pleasurable thought and spreading with virulence. Clearly, I’m still a work in progress in a gazillion ways – and learning that I can be damaging my spirit, my sense of well-being by perseverating over moments and people who have made me angry – is a lesson still to be absorbed. The thought that no one is hurting me more than me, by waiting and stewing and ultimately holding something toxic in my soul, is a reminder that bears repeating. What about you? Where do you fit on the anger/forgiveness scale? How good are you to yourself when the inevitable happens and someone you love totally ticks you off? Posted on July 12, 2012 by mimijk •	This entry was posted in life lessons, mindfulness and tagged Anger, People, Relationships. Bookmark the permalink. This is so well written, Mimi. Your quotes are so true. It takes a lot of skill and practice to be assertive and manage anger without being passive, aggressive, or passive-aggressive. I may counsel people and teach assertiveness training, but this is very much something that I continue to work on myself. Great post! I love this! I have learned since becoming a mama to take Tuck’s OT’s advice with him. Take a break. Use your words. What he does literally hit home with me, because pre-parenthood, my fire breathing dragon would be untameable (sp?). Such a great post! I always look forward to yours! You think it’s a generational thing? Beautifully written as always and the quotes go straight to the heart. I think your response to Kim is so accurate and indicative of who you are – always working on being the best you can be. (impartial opinion – you’re there, sweetheart). Knowing that life is one long learning experience and continuing to evolve is just a small piece of it. You’re sometimes too hard on yourself; however, it is this self-recognition that is necessary in order to move forward and you are always so aware of the work that needs to be done – whether it’s to yourself or your facilitating others to achieve the same keen self-awareness. Having the luxury of time is an additional bonus. Knowing your friends are walking by your side…priceless, I hope. Ohhhhh, my Mimi. With every new post I realize how much we share. My response to anger is *very* much like yours. I HATE confrontations and will go to extraordinary lengths to avoid them. As I child I was always told that “No one likes an angry, unpleasant little girl” and If anger was evinced, I was sent to my room til I could once again summon a “happy face.”. You can see where *this* is going…..
:-(. 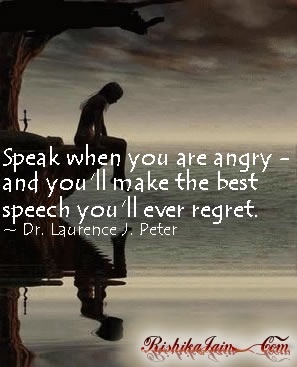 I’ve worked very hard over the past many years to become more effective in dealing with anger, rather than retreating and simmering until, in some rare instances, I explode–not pretty…. Suffice it to day that I’m a work in progress. I’m infinitely better than I was, but still have much room to grow. Thx for reminding me that I am not alone in my struggle…. Thank you for that, Mimi, I *feel* it. 🙂 Anger is a tricky one, but you’re so right–it’s imperative to deal with it in a productive manner. And it’s also important that we’re kind to *ourselves* as we work through the process (another one of those bugaboos that can confound me at times….) Fortunately, I have all sorts of cheerleaders in my corner, both two-footed and four. 🙂 I am, without a doubt, blessed…. This is interesting. I hate confrontation too and keep things bottled up at work. I struggle to let it go and it carries on for days. At home however, I tend to be a reactor, and I say whatever is on my mind at that moment – and quite dramatically. I think when you are comfortable around someone you can be a little looser with your words because you know there is a love/trust there and you believe it will pull you through. I put it out in the table and we talk about problems and usually move forward My boyfriend is trying to tame my outbursts into a calmer, less harsh tone. I am certainly more aware of it now, and I’m trying, but it is tough. Thanks for stopping by! I agree – it’s hard to be conscious of this stuff when you’re in the throes of intense feelings..And even though our reactions are opposite (I can respond at work, and not at home) – the need to work on parts of ourselves is an ongoing challenge. Sure – aisle six in the supermarket…next to the cereal..:-) We are all works in ‘practice’ aren’t we? Ah darn it…do I really have to confess? Shitfire. I’m gonna surprise you and tell you that I blow like a…like a…(shoot, words don’t fail me now…)like a pressure cooker (settled for that one, not what i was going for). But then I ‘m over it. One and done. One thing though…never in front of little ears. I would leave the room, or the house if I had to, because I cannot keep it in…then return when the steam was released and continue at a lower pressure. Another tidbit with this…was exactly the same as a child. Blow my top then get over it. However…opposite outside my family. Hate hate hate confrontation. Avoided at all costs. And I know why. Because I know my pressure gauge. If I got to the boiling point outside my own circle of those who know my tendencies…then I’d have lost jobs and/or friends. Same tidbit…child me hated it too. Exception to the rule (always)…you f#&k w/mine…you will see it and you will run! And again…’mine’ included my friends as well as family…I was known as “the bodyguard”. 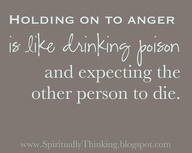 My own version of anger management. I manage it by letting it blow and go. Not for everyone…but sure works for me. Thanks for the ‘confessional’ darlin’ – but in my book, you need do no penance for being the fabulous person you are.. Thanks. And the idea of ballast is not far off. I do find that if I have people in my life that handle situations differently than I do and I know it, I tend to handle thing a bit more rationally (sometimes). But overall, since I both simmer and blow, depending on the environment…blowing works better for me in the long run. Long may you do so!!! Good question, Mimi. It deserves more than my “it depends” answer. But, it’s true for me. I can find the ability to “let her rip” when I experience repeated behavior that’s intentionally mean and insensitive. Your post reminds me that I probably sound mean and insensitive myself. Glad it doesn’t happen often, but I will bully the bully. Oh, Mimi. For me it so depends on with whom I am angry. Alice is the only human being I ever yell at. I attribute it to the fact that I feel most strongly and intensely about her of all human beings in my life (sorry husband). The best is about all there is, isn’t there? And most of us don’t even attain that regularly enough..so good on you Christine!! Well, this is yet another supporting case for why opposites attract. The mime and the volcano. I use to be the type that just kept it in hoping that the subject would come up by the other person, letting is capture my every thought and keep me awake at night. Then after three years of great counseling, I have learned to address what is important, and get to the heart of my anger before it consumes me. What freedom there is when you deal with these types of issues right away and in a pro-active way. Great topic Mimi! Good for you Tina – that’s great! If you’re comfortable with your ride, you never change horses if you don’t have to!!! Thanks for your thoughts!! 🙂 Wishing you a terrific weekend Anake..
Hi Mimi, am afraid to admit that I have let people walk all over me as I hate confrontation. Gradually I have learned to ACT (as opposed to REACT) and allow myself the right to voice my concerns or opinions. But always always I give myself time to think first, give myself time to work out my response, my action. (at least that is my aims). ‘Fighting fair’ is just for sport. When you’re fighting to protect yourself, or your space, or what really matters… then ‘fair’ is not relevant. But it is a good thing to wait… if you can… to express yourself when we’re very emotional. I don’t ever rely on people taking my words in context. One word can pierce to the soul of another… and be remembered forever… even if we didn’t mean for it to do that much damage. Like yourself, I don’t forgive quickly or easily. I suppose it’s connected to early experiences. So I usually keep quiet unless I’m pushed to the wall. I don’t know about your thought, that no one is hurting you more than you yourself. In my case, that’s not what I feel. But when someone I love ticks me off, I usually wait until I’ve calmed down completely before talking about it. When reading the comments, it seems like there is an equal divide between those who articulate their anger with immediacy and those who don’t. I will always seek to avoid unnecessary conflict…and the emphasis is on ‘unnecessary’, and need to figure out a way not let it eat away at me in the interim.